Xcel was a U.S. metal band back in the ‘80s. They were formed in 1985 in Texas from the ashes of the band Wizzard. 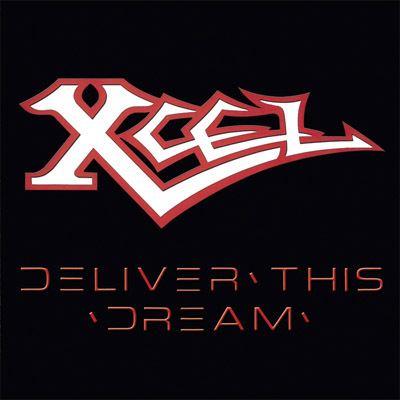 Xcel released an album named “Deliver this Dream” and a single back in 1987.The album was released in 1986 by TRI Records in vinyl and cassette format. TRI was just a bunch of local guys with appropriate recording facilities so the album was practically self-financed by Xcel . The songs that were on the single were also on the band’s album. Now the two releases of Xcel are being released in this compilation. The stuff of the band is now re-mastered by Kostas Scandalis (HORIZON’S END, WARDRUM) and the sound of the album is really cool!! The high-pitched vocals of Kevin Luke are really great and the same goes for the brilliant guitar work of Duncan & Cox on the album! The whole album stands on high levels in terms of technique and songwriting. I think the best songs are “Deliver this Dream”, “The Vision”, “I’ll Make it Someday”, “King of Fools”, “The Last Ride of Ihabod Crane” & “Beware the Night” but the rest of the songs are also good and in general the album has a really nice flow that maintains the listener’s interest. This re-release is limited to 1000 hand numbered copies so hurry up! In conclusion this is a must buy for the fans of traditional heavy/power metal! !